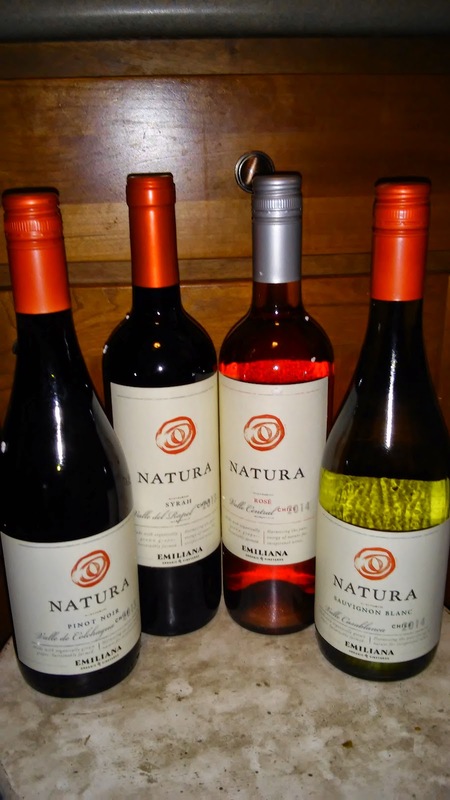 Celebrate Earth with Natura Wines! Earth Month and Earth Day were in April, but really we should treat every day like Earth Day and celebrate and preserve the beautiful Earth we live on! Natura Wines is definitely doing that everyday by the way they show their support for sustainability and respect for nature. Keeping with the philosophies of Earth Day, Natura -- from Emiliana Vineyards (Chile), the world's leading organic, biodynamic, sustainable, and carbon-neutral winery -- firmly believes that using sustainable organic agricultural practices results in better-balanced, healthier, and more productive vineyards. In turn, this produces better quality grapes and thus more authentic and pure wines. Natura Sauvignon Blanc: Bright and clean with citrus fruits such as lime and grapefruit mingled with light herbal notes. Natura Rose (New! ): Bright pink. Fresh, fruity, and balanced with cherry and black currant. Natura Syrah: Notes of rich mocha and ripe red fruit. Soft, voluptuous tannins framed by red fruit and a touch of pepper spice. I really love to open a bottle of the Natura wines at the end of a hard week or long day. I love the taste but most importantly I love that they are made with organic and sustainable farming practices! Furthermore, to reinforce Natura’s commitment and respect for nature, this year marks the second national partnership with Keep America Beautiful. The program focuses on the groups’ shared values of respecting the environment and beautifying communities. The partnership includes local beautification projects championed by KAB’s community-based affiliate network. You can purchase Natura Wines for a SRP of $12.